Mohamed Sissoko has signed for the Hong Kong champions Kitchee FC. 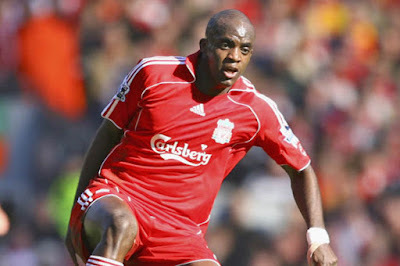 Fans of Liverpool will remember him for his three-year stint at their club. While the midfielder can call clubs such as Valencia, Juventus and Paris Saint-Germain former clubs. Kitchee will become Sissoko's lucky 13th club and at 33 years old might not be his last. The player who until 2013 was playing top-level European football with Paris Saint-Germain as seen his career face a steady decline. The midfielder has in total cost clubs over £27,000,000 showing just how well thought of he was at one time. However, the player famed for his athleticism and power in midfield fell out of favour at Paris Saint-Germain in 2013 and after being released from his contract it took him six months to find a new club. Just two years ago nevertheless after spells in China, India and Spain Mohamed Sissoko tried a return to English football. This was when he played as a trialist for West Brom in September 2016 after he was released from Pune City in India. Although he had a decent trail he was unable to get a permanent contract and instead moved to Ternana in Italy's Serie B. The player found himself having short spells in the Indonesian League followed by a spell in the Mexican second tier when his contract expired in Italy. After his release from his contract in Mexico the Mali international as now found his way to Hong Kong as a Kitchee player. It is clear the player is not the same as the one we watched in 2006 winning the FA Cup however if he just finds some of that form he will be a huge hit in Hong Kong and am sure the league's other teams defenders will not be looking forward to facing him.